Blast furnace slag (BFS) is an alternative material used in various civil engineering functions, such as stabilization of problematic soils, ready mixed concrete production, road and foundation construction and fill material. In this study the geotechnical index properties and shear strength behaviour of Granulated Blast Furnace Slag (GBFS) were determined for fine, medium and coarse grained samples at loose, medium and dense densities. The sieve analysis was performed and GBFS was divided in three sections; coarse (4.75 mm - 2 mm), medium (2 – 0.425 mm) and fine grained (< 0.425 mm) samples. The consolidated drained direct shear tests were conducted with saturated samples at a shear rate of 0.20 mm/min. The test results have shown that GBFS had comparatively higher specific gravity than usual soils (3.0 – 3.4). GBFS was basic (pH >7) and non- plastic characteristic (NP). The maximum shear stress of the samples was obtained at 5% - 10% axial deformation range. The internal friction angle of fine, medium and coarse grained samples were with in the range of 14° - 33°, 27° - 42° and 46° - 50°, respectively. The highest internal friction angle for fine and medium grained samples were obtained for dense samples. Increment of density affects the internal friction angles of medium grained samples positively. However, no significant change in the internal friction angle of the coarse grained samples was observed. The cohesion of GBFS samples ranged between 7 and 39 kPa. 1. Goodarzi, A, R, Salimi, M, Stabilization treatment of a dispersive clayey soil using granulated blast furnace slag and basic oxygen furnace slag, Applies Clay Science, 2015, 108, 61-69. 2. O'Kelly, B, C, Geotechnical properties of two granulated blast furnace slag materials. Third Symposium on Bridge and Infrastructure Research in Ireland, Dublin, 12th–13th October, 2006, 1, 121-128. 3. 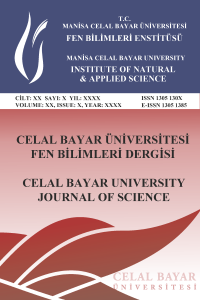 Cokca, E, Veysel, Y, Stabilization of Expansive Clays Using Granulated Blast Furnace Slag (GBFS) and GBFS-Cement, Geotechnical and Geological Engineering, 2009, 27, 489-499. 4. Martin, P, E, Bobillon, G, Eisenlohr, L, Reuse of solid waste from the clearing of road basins and ditches in civil engineering: from characterization to ways of treatment. Houille Blanche-Revue Internationale De L’Eau, 2008, 17, 130-136. 5. Buddhdev, B, G, Varia, H, R, Feasibility Study on Application of Blast Furnace Slag in Pavement Concrete. International Journal of Innovative Research in Science, Engineering and Technology, 2014, 3, 3, 10795-10802. 6. Ekincioglu, O, Gurgun, A, P, Engin, Y, Tarhan, M, Kumbaracibas, S, Approaches for sustainable cement production – A case study from Turkey, Energy and Buildings, 2013, 66, 136-142. 7. Poh, H, Ghataora, G, Ghazireh, N, Soil Stabilization Using Basic Oxygen Steel Slag Fines. J. Mater. Civ. Eng., 2006, 18, 2, 229-240. 8. O’Kelly, B, C, Geo-engineering properties of granulated blast furnace slag, Proceedings, Innovative Geotechnical Engineering, International Conference on Geotechnical Engineering, Tunis, Tunisia, 24th–26th March, 1, 2008, 249 – 257. 9. ASTM D6913-04(2009)e1, Standard Test Methods for Particle-Size Distribution (Gradation) of Soils Using Sieve Analysis, ASTM International, West Conshohocken, PA, 2009. 10. ASTM D854-14, Standard Test Methods for Specific Gravity of Soil Solids by Water Pycnometer, ASTM International, West Conshohocken, PA, 2014. 11. Methods of test for soils for civil engineering purposes, British Standard Institution, 2016, London, UK. 12. ASTM D4318-10e1, Standard Test Methods for Liquid Limit, Plastic Limit, and Plasticity Index of Soils, ASTM International, West Conshohocken, PA, 2010. 13. ASTM D698-12e2, Standard Test Methods for Laboratory Compaction Characteristics of Soil Using Standard Effort (12 400 ft-lbf/ft3 (600 kN-m/m3)), ASTM International, West Conshohocken, PA, 2012. 14. ASTM 3080, Standard Test Method for Direct Shear Test of Soils Under Consolidated Drained Conditions, ASTM International, West Conshohocken, PA, 2013.